State sovereignty has traditionally been one of the central ordering concepts in the study of international relations. This important new book re-examines the theory and practice of state sovereignty against the backdrop of rapid economic, technological and institutional changes which have shaped the modern world. The End of Sovereignty? explores the evolving pattern of interaction between national, subnational and transnational actors and the continued relevance of the notion of sovereignty to an understanding of contemporary politics. 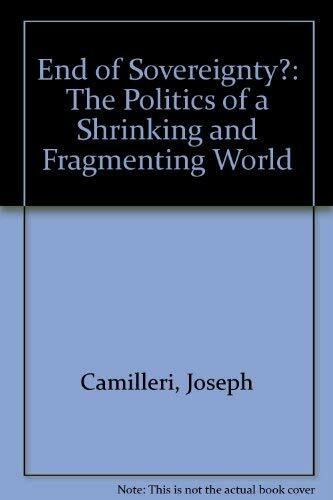 In the process, the book offers an important contribution to political theory, new insights into the emerging world political system, and a challenging analysis of the new macropolitical agenda.